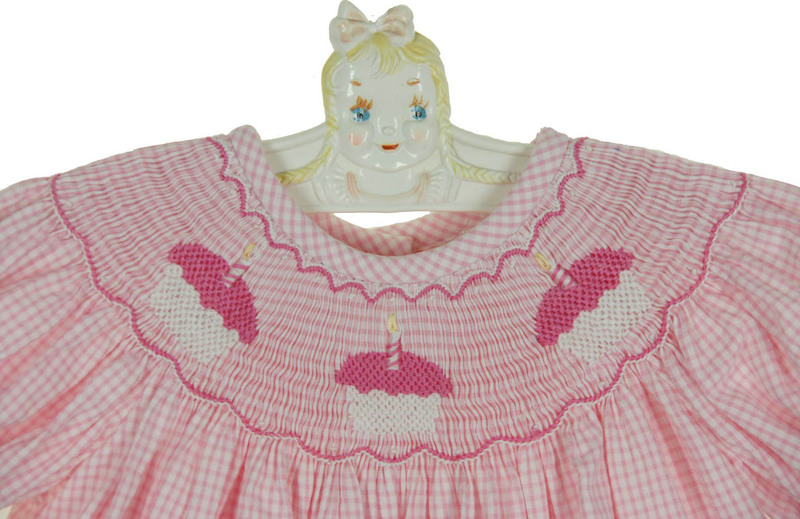 This darling pink checked cotton dress is made by Precious Kids, a leading manufacturer of classic smocked children's clothing. 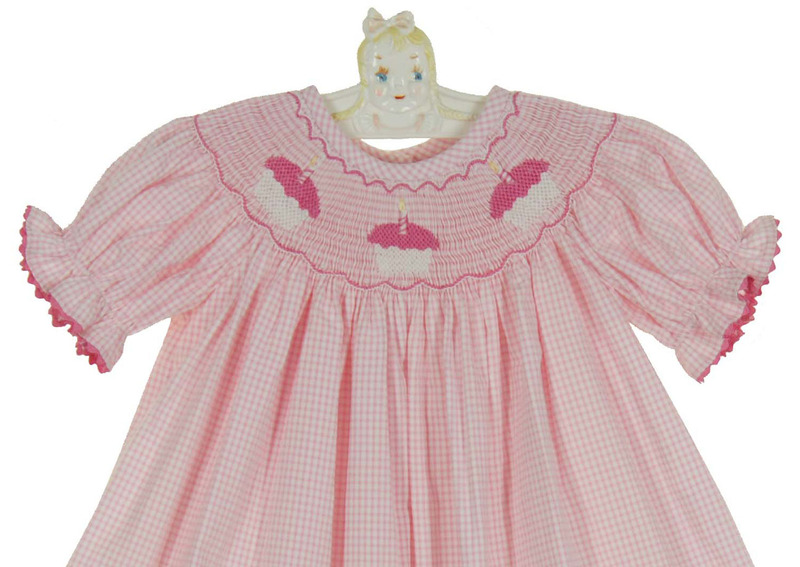 Perfect for baby's birthday, the bishop smocking is embroidered with three pink cupcakes. 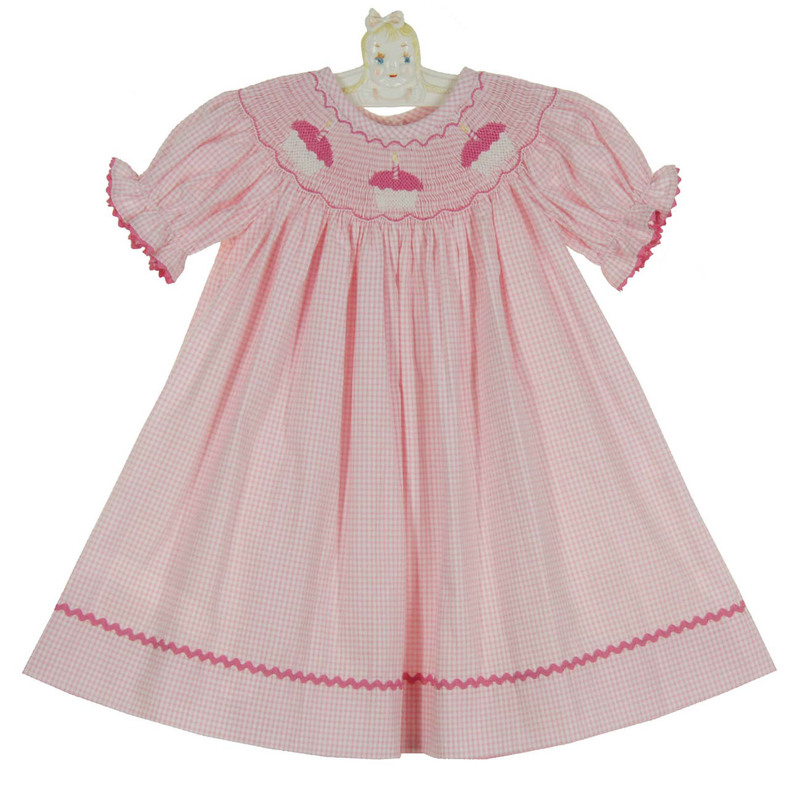 Pink rickrack trims the short puffed sleeves and hem. 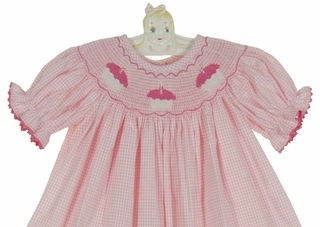 The dress has a back closure with covered buttons. Matching romper and shortall are also available. See below.